80 Euros for participants from other countries. It is my pleasure to invite you to the “Intensive Course in Digestive Pathology”, hosted by the Hellenic Division, IAP in Agria, Greece. I have to express my sincere thanks to the speakers, who accepted the invitation. All of them are internationally recognized pathologists, panelists of the WHO or/and contributors to Blue Book classifications. Therefore, their contribution guarantees a successful event. I also have to thank Dr. Pavlakis, President and the members of the Executive Committee of the Hellenic Division, IAP with whom we worked together to organize this conference and prepare the scientific program. Agria is a village by the seashore of mount Pelion. According to the Hellenic Mythology, the Centaur Chiron, teacher in Medicine of Asclepius, used to live in the forests of this mount. Mount Pelion with 24 colorful villages of traditional architecture, the natural beauties of the forest and the surrounding attractive beaches promise an unforgettable experience. Therefore, on behalf of the IAP, I would like to invite you to attend this outstanding and high educational scientific event. At VALIS Hotel: Single room 255 Euros, double room 335 Euros. Note: Due to a limit number of rooms, the offer will be based on the “first come-first served” basis. For the members of the Hellenic Division IAP: Click the following button to log in your account or sign up and pay 20 Euros annual dues of membership for the year 2019.  For pathologists who would like to become members of the Hellenic Division IAP: Click the following button to log in your account or sign up and pay 20 Euros annual fees of membership for the year 2019. For members of the Hellenic Division IAP and Residents in Pathology to attend the Intensive Course in Digestive Pathology: Click the following button to log in your account or sign up and pay 50 Euros. For participants without becoming a member of the Hellenic Division IAP: Click the following button to log in your account or sign up and pay 80 Euros to attend the Intensive Course in Digestive Pathology. For participants from Balkan Peninsula Countries (former Yugoslavia, Romania, Bulgaria and Albania): Click the following button to log in your account or sign up and pay 50 Euros to attend the Intensive Course in Digestive Pathology. For participants from other Countries: Click the following button to log in your account or sign up and pay 80 Euros to attend the Intensive Course in Digestive Pathology. Professor and Chair, Anatomic Pathology, Department of Pathology, Saint-Antoine Hospital, Sorbonne University Medical School, Paris, France Chair, Digestive Diseases Working Group, ESP.Author of more than 400 Articles in Peer-Reviewed Journals and Chapters in Books.Contributor to WHO Classification of Tumors of the Digestive System. Past President of the French Society of Pathology. Dr. Adsay is an internationally-recognized pathologist in the field of gastrointestinal and pancreatobiliary cancers. He has published over 275 peer-reviewed articles, authored numerous chapters in highly prestigious textbooks, served in the editorial board of 7 medical journals, and has given over 250 lectures at international platforms. He served as President for the United States and Canadian Academy of Pathology, as well as Pancreatobiliary Pathology Society. He is the recipient of several awards including teaching awards, young investigator award of GIPS, and AACR Team Science Award. 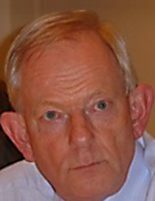 Fred Bosman is Emeritus Professor of Pathology at the University Medical Center (CHUV) of Lausanne in Switzerland. His research activities (combining diagnostic and experimental pathology) focused on the biology of digestive tract cancer, notably Barrett’s esophagus and colorectal cancer. He was Series-coeditor of the 4th edition of the WHO Series ‘Classification of Human Tumours’, and co-editor of the Volume on Tumours of the Digestive Tract. He is Section Editor ‘Specific types of cancer’ for Elsevier’s Encyclopedia of Cancer. 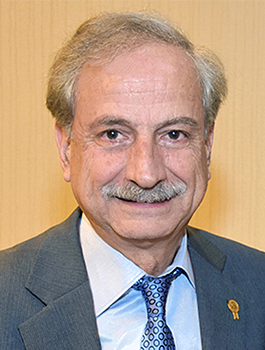 Prodromos Hytiroglou is Professor and Chairman of the Department of Pathology at the Medical School of the Aristotle University of Thessaloniki, Greece. His research work is focused on liver pathology, and he has written 128 original articles and reviews in PubMed indexed journals. He has also written chapters for several books, including: MacSween’s Pathology of the Liver; Practical Hepatic Pathology (edited by R. Saxena); Odze and Goldblum Surgical Pathology of the GI Tract, Liver, Biliary Tract, and Pancreas; Liver Pathology (edited by L.D. Ferrell and S. Kakar); and WHO Classification of Tumours of the Digestive System. 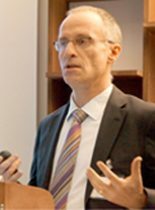 Paul Komminoth is head of the Institute of Pathology of the City Hospital in Zürich, Switzerland and is Professor of Pathology at the University of Zürich. He has clinical and research interest in endocrine and molecular pathology. He is co-author of several chapters in the WHO books on endocrine, gastrointestinal and soft tissue pathology and was involved in more than 190 original articles and reviews, mainly on endocrine and molecular pathology. His current research interests are neuroendocrine tumors, thyroid carcinomas and pheochromocytomas. 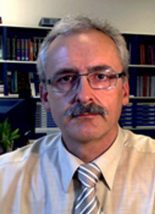 He was in the advisory board of the ENETS (European Neuroendocrine Tumor Society) and is member of the editorial board of the Journal “Endocrine Pathology”. 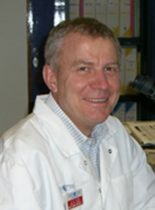 He is director of the Institute of Pathology (IPH) of Heidelberg University (Germany) since 2004, Chairman of the German Society of Pathology and Council Member of the European Association of Pathology, board member of the National Center of Tumor Diseases, member of the German Academy of Sciences Leopoldina, and Principle Investigator in many national and international consortia. He studied Medicine at Mainz University (Germany) and Molecular Biology at Albert Einstein College, New York, received training and board certification in Pathology and Molecular Pathology at Mainz University and was Professor of Pathology at Cologne University. His scientific interest centers on liver and molecular pathology with specific emphasis on molecular pathogenesis of hepatobiliary cancer; he has contributed to over 600 publications and numerous guidelines mainly centering on these topics. He is coordinator of the Coordinative Research Center ‘Liver Cancer’ of the German Research Foundation involving three University Centers and about 50 Researchers. IPH is Center of Excellence of the ESP for Liver and Molecular Pathology. Professor Shepherd is Professor of Gastrointestinal Pathology (GI) at Gloucestershire Cellular Pathology Laboratory, UK. He is Editor of Morson & Dawson’s Gastrointestinal Pathology, the flagship UK textbook of GI pathology. He has written seven other books, 40 chapters & more than 200 original articles & reviews. He is a past President and General Secretary of the British Division of the International Academy of Pathology. He has wide involvement in education at regional, national & international levels & has given more than 150 invited lectures at national & international symposia on GI pathology. Professor of Pathology, Indiana University, Indianapolis, USA.Trained in liver pathology at King’s College Hospital, UK; Mount Sinai School of Medicine, NY; and at Yale University.Editor of Practical Hepatic Pathology: A Diagnostic Approach and Guest Editor in Seminars in Diagnostic Pathology on Liver Τumors.Author of over 100 articles and several chapters, including the 3rd and 4th editions of the WHO Classification of Tumors of the Digestive System. Dr. Puay Hoon Tan is Senior Consultant Histopathologist and Chairman, Division of Pathology, Singapore General Hospital, and Academic Chair of the SingHealth-Duke NUS Pathology Academic Program, Singapore. She is Professor of the Duke-NUS Medical School and Professor of the Departments of Anatomy and Pathology of the Yong Loo Lin School of Medicine, National University of Singapore. She has active interests in breast, urologic and renal pathology, and was a Volume Editor of the 2012 WHO Classification of Tumours of the Breast. She sits on the Editorial Boards of Modern Pathology, Breast Cancer Research, Journal of Clinical Pathology, Pathology, Seminars in Diagnostic Pathology, and Analytical and Quantitative Cytology and Histology. She is Associate Editor of Histopathology and the Singapore Medical Journal. Apart from a busy service largely focused on subspecialty surgical signouts, she and her collaborators are recipients of several research grants related to translational studies of breast and prostate cancer. She is author of more than 400 publications, and participates regularly in regional and international meetings. Dr Tan’s research interests in breast pathology centre around the classification of breast fibroepithelial lesions and their molecular pathogenesis, triple negative breast cancers, and ductal carcinoma in situ. 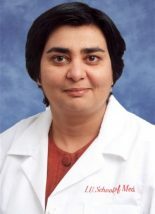 In urologic pathology, she is engaged in prostate and renal cancer studies and is a contributor to the 2016 WHO Classification of Tumours of the Urinary System and Male Genital Organs. She was a Past-President of the International Society of Breast Pathology, and was Councillor for Asia of the International Society of Urological Pathology (2009 – 2015). Professor Fernando Schmitt is Professor of Pathology at the University of Porto, Senior Researcher and Head of Molecular Pathology Unit at IPATIMUP, President of the Portuguese Society of Cytology and General Secretary of the International Academy of Cytology (IAC). He has authored more than 435 papers in peer-review journals, 23 book chapters and he is editor of three books, one of molecular pathology, other of cytopathology and other of breast cytopathology. Prof Schmitt is widely considered a world-leading expert in cytopathology and breast cancer. Fernando was a fellow at the Karolinska Medical Hospital, Stockholm, and was Professor of Pathology at the University of São Paulo (USP), Brazil and University of Toronto, Canada. He was also Director of the Department of Medicine at Laboratoire national de santé, Luxembourg. His research work is on breast cancer, with emphasis on molecular markers, cell adhesion and invasion, therapeutic targets and mechanisms of resistance. In the last years, his research work has been dedicated to the study of molecular markers on cytological material. Fernando serves as Associate Editor of six major scientific journals and sits on the editorial board of many others. He has also been chair, president or scientific director of several major European, Portuguese and Brazilian scientific societies of pathology and cytology. Currently he is the Secretary-General of the IAC. Fernando received the prize of Educator of the Year 2011 by the Papanicoloau Society of Cytology (USA), also received the prize GOLDBLATT AWARD 2013 from the International Academy of Cytology. 01.10.1995 – 30.11.1997: Postdoctoral Research Fellowship (Erwin- Schroedinger-Scholarship of the Austrian Science Foundation), Department of Pathology Johns Hopkins University (Medical Institutions), Baltimore, MD (USA) with Prof. R.J. Kurman (Division of Gynecologic Pathology) and Lora H. Ellenson, MD, PHD (Molecular Research Laboratory). 20.01.1999 : Habilitation (Venia legendi and facultas docendi) for Pathology, University of Graz, School of Medicine. Peer review activity for several scientific journals such as Virchows Archiv, International Journal of Gynecological Pathology, Gynecologic Oncology, International Journal of Cancer, European Journal of Cancer, International Journal of Gynecological Cancer, European Journal of Obstetrics and Gynaecology, Human Pathology, Der Pathologe, etc. Michael Wells is Emeritus Professor of Gynaecological Pathology, University of Sheffield. 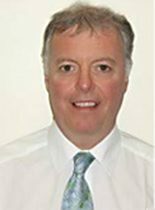 He retired in November 2014 and currently is a part-time Consultant Gynaecological Pathologist at Leeds Teaching Hospitals NHS Trust. He was Associate Professor in the Faculty of Medicine, University of Nice, 2016-2017. Mike is past-President of the British Gynaecological Cancer Society (1994-1997), the International Society of Gynecological Pathologists (2003-2005), the European Society of Pathology (ESP) (2009-2011) and the British Division of the International Academy of Pathology (BDIAP) (2012 – 2014) and Vice-President of the Royal College of Pathologists (2011-2014). He was editor of Histopathology (2002 – 2011). In 2004, he was elected a Fellow of the Royal College of Obstetricians and Gynaecologists (ad eundem) in recognition of the “major contributions he has made to the specialty and the wellbeing of women”. In November 2015, Mike was ranked second in “The Pathologist” magazine international inaugural “Top 100 Power List” of influential pathologists and laboratory medicine professionals. 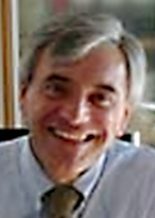 Rodolfo Montironi, MD and IFCAP, obtained his medical degree at the Medical School of the University of Ancona, Italy in 1976, the board certificate in pathology and laboratory medicine at the University of Parma, Italy, in 1979, and the board certificate in clinical oncology at the University of Ancona in 1982. He received his advanced training in pathology in several British institutions under the supervision of world leaders in pathology, in particular at Hammersmith Hospital, London, UK, with Dr. John G. Azzopardi in 1979. He is International Fellow of the College of American Pathologists. He is Professor of Pathology at the Medical School of the Polytechnic University of the Marche Region, and Director of the Uropathology Program, United Hospitals, Ancona, Italy. He is a Past President of the International Society of Urological Pathology. He is the Chairman of the ESUP (EAU Section of Uropathology). He is a member of different international societies of pathology and of urology, including the European Society of Pathology and European Association of Urology. Dr Montironi’s work is centered on genitourinary tumor pathology. He is an author or coauthor of more than 700 publications in peer-reviewed international journals and of more than 30 chapters in books in the field of genitourinary tumor pathology. He has been a regular invited speaker at all major national and international pathology meetings. He organized and co-organized several international courses on genitourinary tumor pathology. 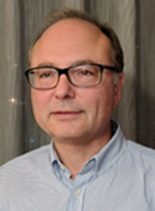 Dr Montironi serves on the editorial boards of several international pathology and urology journals, including European Urology and European Urology Focus (Consulting Editor). – Member of the Experts Panel on Urologic Tumors who developed the 2016 WHO classification of Urologic Tumors (Book published 2016). 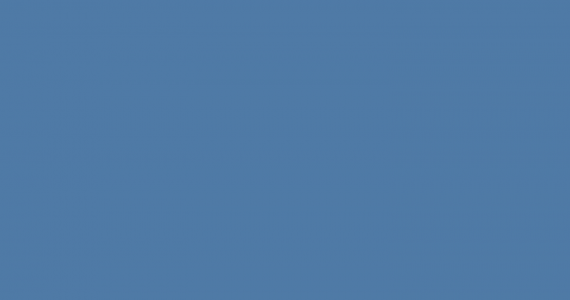 – Expert-scape Expertise in Urogenital Neoplasms Worldwide (2014/2017): Position 25 out of >75.217 experts. Gladell P. Paner, MD, BS(MT) is an Associate Professor at the University of Chicago with a special interest and expertise in genitourinary pathology. Dr. Paner has been a speaker or has conducted courses in several renowned national and international medical associations such as the USCAP, AUA, CAP, ASCP, IAP and ESP and in 16 countries in 6 continents. 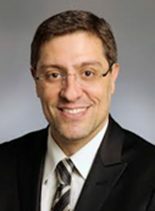 Dr. Paner is a contributor to several genitourinary pathology practice guidelines and to the 2016 WHO classification of genitourinary tumors, and is currently the chair of the CAP Cancer Protocol Panel for Genitourinary Tumors, responsible for creating and reviewing the checklists for reporting cancer specimens from genitourinary organs. Dr. Paner has co-authored 4 books, several book chapters, and >95 peer-reviewed publications. Dr. Paner is the recipient of the prestigious Arthur Purdy Stout Award for 2016, awarded to recognize significant career achievements in Surgical Pathology by young surgical pathologists whose research publications have had a major impact on diagnostic pathology.